Exploring The Five Layers of Pre-Writing (with guest writer Karah Rachelle) — Well-Storied. Pre-writing is one of my favorites parts of the writing process. I know that statement may have some of you grimacing in revulsion, but hey! We're all different. And that's the beautiful thing about being a writer. There is no one right way to write, which means you have all the freedom in the world to figure out a writing process that works for you. I've shared a bit about my own pre-writing process in the past, but my process certainly isn't the only process. Today, I'm excited to welcome author Karah Rachelle to the blog to share about her method or pre-writing in five layers. I hope you'll enjoy exploring her pre-writing process as much as I did. Check it out below! I’ve been thinking a lot about pre-writing lately. As I gear up to write my first YA novel in the midst of having a full time job and hunting for a new one, I know that time is of the essence and that means I have to approach my writing strategically. I have always thought of writing like sculpting. Michelangelo once said, “Every block of stone has a sculpture inside it and it is the task of the sculptor to discover it.” That’s how I feel about novels. The story is already there, the characters already exist, and we writers simply chip away at it little by little to uncover it. That’s why I work in layers. I think a lot of writers feel like they need to sit down at the blank page with nary more than a wild idea and let their fingers hammer out a masterpiece like Bruce Almighty typing out emails. No wonder we get so frustrated when we stare at that blinking line for what feels like hours or crank out a steaming pile of hot garbage. Every writer works differently and I definitely think you should figure out what works best for you, so experiment and work at it until you find your groove. My groove happens in many layers, before I even type Chapter One at the top of that very first page. Before we get started, I want to advise you to take at least a day in between each layer. You need to let the story marinate in the back of your brain while you go about your daily life. Our brains are excellent at solving puzzles in the background, so let yours do its thing and give it a rest. Your main character is the star of the show. Everything else is built around them. They are the heart of your story. The David to your Michaelangelo. I’ve been using K.M. Weiland’s guide to Creating Character Arcs to help me and it has been truly revolutionary. Instead of simply using random character questionnaires, this ebook helps you really crack your character open and see how they will progress over the course of the story. Definitely feel free to approach this layer however you like, but I recommend not moving on until you’ve really figured your main character out. What makes them tick. What they need and want. What forces are working against them. As you work with your main character, plot points will start to naturally emerge. I suggest making a simple, bullet point outline. Three outlines I really like are the Five Commandments of Storytelling, the Seven Point Story Structure, and Eva Deverell’s One Page Novel Plot Formula. This layer is still very exploratory, so don’t feel like your plot is set in stone just yet. We still have more layers to go. By now you probably have a bunch of nameless, possibly even faceless, secondary characters. Characters like creepy stalker guy, romantic interest number one, or annoying classmate. I personally have three go-to resources here: Pinterest, Nameberry, and the Myers-Briggs Type Indicator. I always get a better feel for my characters once they have an actual face, so I use Pinterest to create a board of my characters. Nameberry helps me find them a unique and fitting name. 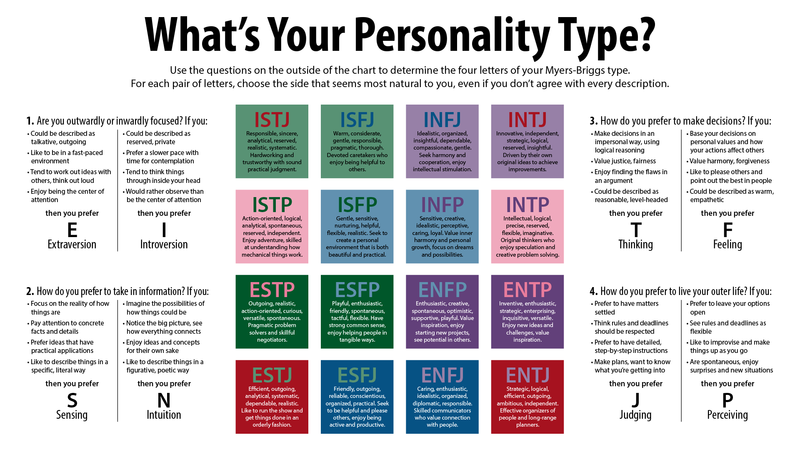 And Myers-Briggs helps me get a better sense of how they make decisions, see the world, and how they’ll interact with the other characters in my story. If I’m writing to a specific theme or change arc for my MC I like to briefly explore my secondary characters’ feelings on the subject. So if my main character’s struggle is with finances, I might explore how my secondary characters handle theirs. This could lead to conversations, guidance, and conflict in the story. I don’t recommend going too deep with these characters, as they’ll reveal themselves more once you start writing. This stage mostly helps you see who’s necessary, who needs to be cut or combined into another character, and what purpose they have in your story. Oftentimes, by now I have a ton of notes littered all around my desk, shoved deep down in my purse, or scribbled on random days in my work planner. It’s a hot mess. I think treatments are a perfect way to tidy everything up. Treatments are big in screenwriting. They are used to lay out the entire story in a bite sized format. Here’s an example. I think a treatment can be useful to novelists as well, because once you’re at this layer in your story, your fingers are going to be itching to get it all out. Instead of bee-lining toward chapter one, write a treatment instead. Sit down and type out every single thing that needs to happen, from start to finish. For my current novel, I have a four page treatment that I cranked out in about two hours. It has no chapters, only paragraph breaks for where one idea ends and another begins. I did pepper in the Seven Point Story Structure though. I simply used bold to denote where I felt they hit in the treatment. That helped me make sure my pacing looked right. As you move fluidly through your treatment, you’ll notice things change from your original outline. That’s fine. Go with it. This layer will help you work out all the initial kinks. This layer is optional, based on your genre. I write realistic fiction and mostly work with what’s already in my brain. You may be writing fantasy, historical, or science fiction and not have memories to rely on. Do whatever you need to do to get the most basic level of clarity you need to start writing your book. I don’t recommend digging too deeply here in case you don’t end up using what you find or cut it in revisions. I prefer to make notes as I write and do all research before draft two. I include setting in this layer, because if you’re writing one of the above mentioned genres, you might need a lot of research to make your settings clear. If you write realistic fiction, like me, most of your settings are going to be recognizable to your readers from their own experiences and your settings will be approached more from your main character’s viewpoint to help your reader sink into your world and this is best done while writing your draft. Many people think pre-writing will extinguish their excitement or back them into a corner, but this isn’t the case. It actually always makes me more excited and it helps me see the complexities within my story so I can avoid cliches and dig deeper. What you’ve developed in pre-writing is only as restrictive as you let it be. Feel free to follow your characters down unexpected rabbit holes whenever the mood strikes, just be sure to stay true to the heart of your story and characters. Happy pre-writing! Karah Rachelle was born in Cincinnati, OH and grew up mostly in Northern Kentucky. She loves writing and studying screenplays as much as books, especially the television variety. When not consumed with writing, she likes to read comic books, catch up on favorite TV shows, hang out with her two cats, and discover new music on Spotify. She is currently fast-drafting her second novel, Emil and Theo. You can follow her progress on Instagram at @karahrachellewrites.